Reggie McKenzie is no longer there to prevent this from happening. The gods have foretold this. It is written. 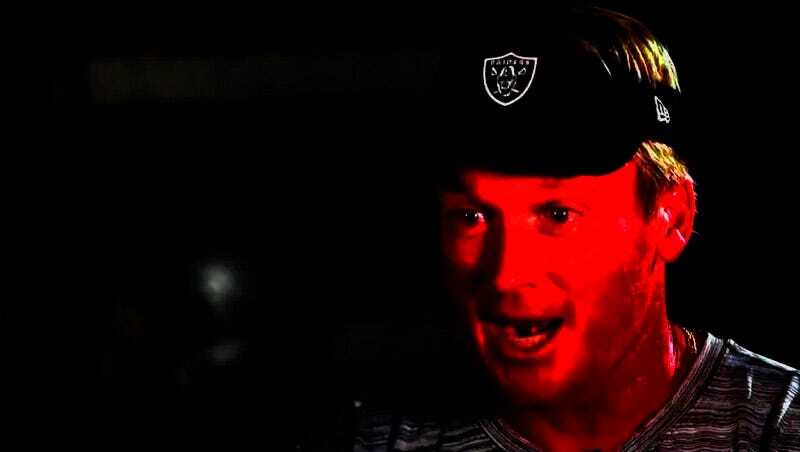 Jon Gruden becomes more powerful with every passing day. It’s only a matter of time before he becomes the first coach to have an NFL team score negative points in a game. Believe in the visor. Update (3:02 p.m. ET): Nathan Peterman will have to work his way up.